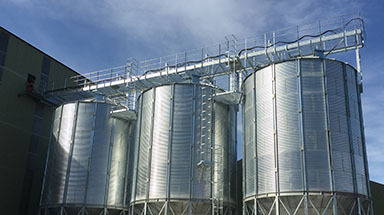 The aim of introducing long term bulk storage silos was to reduce the cost of warehouse storage and subsequent distribution for GBHL clients. 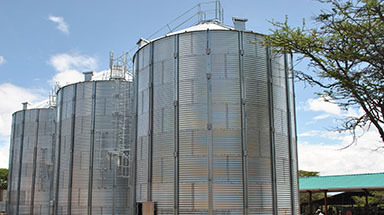 Moreover it became crucial in providing a distribution hub for commodity traders and relief agencies to expand their use of Mombasa to service regional demand. 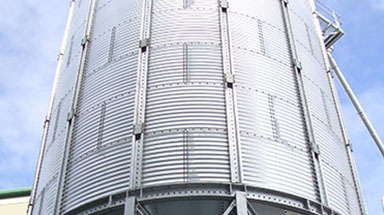 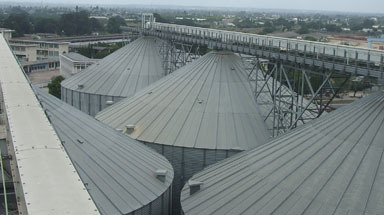 Construction of the 55,000 tonne bulk silos began early 2006. 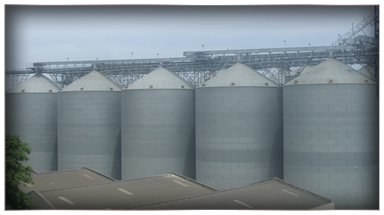 In Phase 1 a total of 25,000 tonnes of bulk storage was commissioned and in operation by August 2006. 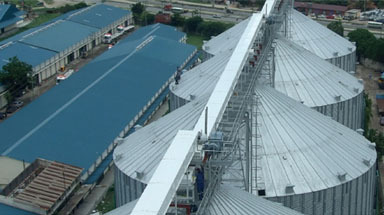 Phase 2 with 35,000 tonnes, was completed by mid 2007.
ring-main fire prevention system and 10 silos of 5,000 tonnes each plus 4 silos of 1,250 tonnes providing a total capacity of 55,000 tonnes, with related elevators, conveyors and dust extraction systems. 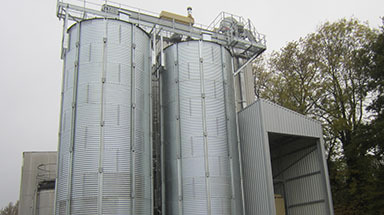 The facility also includes a control room with a data link to the main control room in the transit terminal expansion of the delivery complex to include two extra road delivery points. 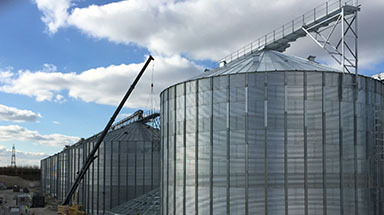 These additions to GBHL facilities have encouraged the required developments further down the transport chain, which are now reaching completion. 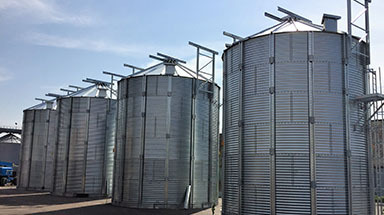 GBHL anticipates that this increased storage capacity, while satisfying current demand, will not be enough to meet future demand. 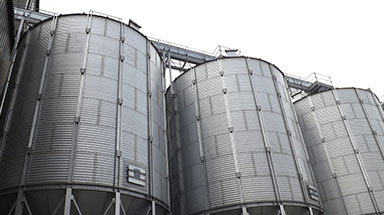 As a result, the design work has already taken place for a third phase providing a further 9 silos of 5,000tonnes each plus 4 silos of 1,250 tonnes – a total long term bulk storage capacity of 105,000 tonnes. 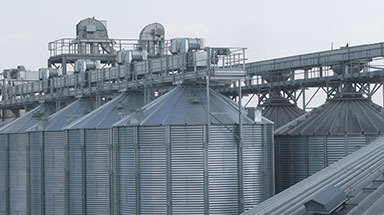 This development will also include rail weighing and delivery systems.